Webinar Sales Funnel: 5 Basics for a Profitable Webinar Strategy - Powered by technology, our unique program uses software and algorithms to conduct a custom online competitive edge! Webinars have become an essential tool in your sales kit. Today, the average session garners about 150 attendees. More people often register as well. 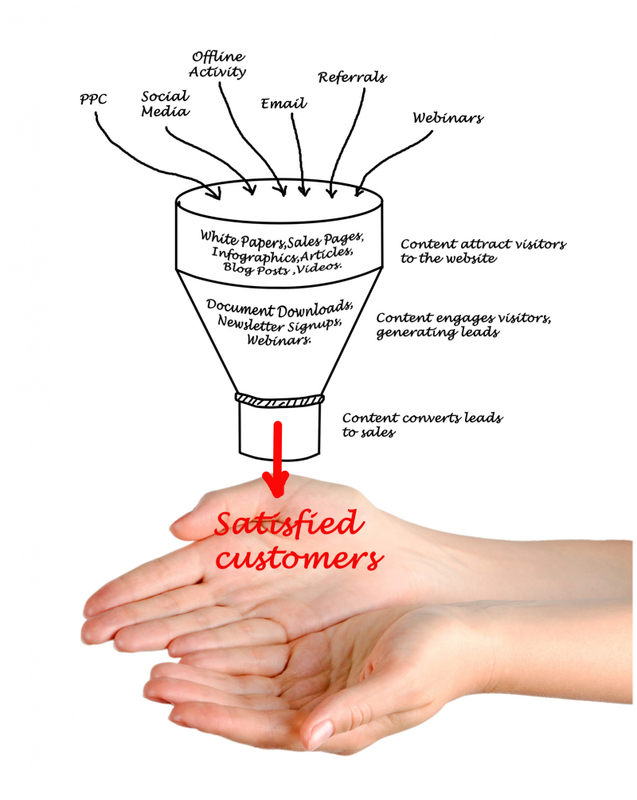 It's clear webinar marketing can pay off for your lead generation. If you're producing quality content and making the right offers, webinars are also excellent tools for sales. Those just starting webinars likely won't see 150 registrants, let alone that many attendees. If this sounds like your situation, it's time to build your webinar sales funnel. These five tips are essential building blocks in scaling your webinar efforts. If you want to improve webinar sales, have the sales team suggest topics for future sessions. This is a stumbling block for many businesses using webinars. Over the past few years, many marketers adopted webinars as part of their strategy. In turn, the number of low-quality webinars has multiplied. Today's buyers want useful content, and if your webinar isn't delivering, you won't get very far. Your sales team can help you discover questions customers ask or pain points. You can then create an informative webinar with solutions people are actually seeking. If you're wondering how to build a webinar, remember that free is good. Gated content still needs to have a low barrier to entice people. If your webinars require payment, you're reducing both leads and potential sales. Instead, allow people to sign up for free. You can still require registration, which gives you valuable information about each prospect. This information is often more valuable since it can help convert a prospect into a lifelong customer. Even if the registrant doesn't attend the webinar, you'll still have their email on file. Be sure to thank them for registering as well. As you try to scale your webinar, you'll need to get the word out. Nobody is going to register for a webinar they haven't heard of. You should use the power of social media to get people excited about your upcoming webinar. Facebook ads are one staple you should be using. Your website should also be an opportunity, enticing visitors to register. Organic social media posts can also help you spread the word about your upcoming session. Don't forget the power of email marketing either. You've now created some buzz about an informative webinar your customers want to attend. Registration is higher than ever before. If lead generation was the name of the game, you'd be set. Unfortunately, generating leads alone isn't how to make a webinar successful. You need to convert leads to sales. To that end, you need to be sure you're including the right offer. If the offer doesn't resonate with the audience, you won't convert these leads to sales. It's easy to host a webinar and be done with it. You must follow up with attendees post-webinar. This is how you'll convert even more of those leads to sales. First, thank attendees for their time. Then offer them something for free, such as a copy of webinar slides. Continue to follow up with them over the next few weeks. Building a webinar sales funnel starts with these basics. There are many more tips and tricks for using webinars as successful sales tools. If you're looking for more ways to make your webinars stand out and convert more, get in touch with the experts. 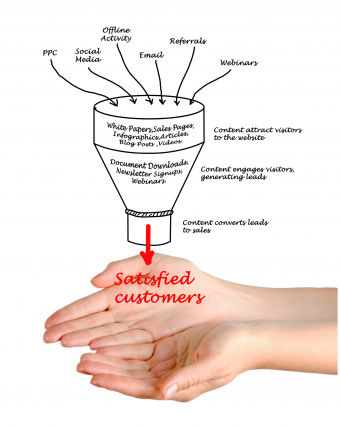 We can help you continue to build a robust sales funnel to fuel your business growth. Have you checked out our FREE Top 5 Best Practices Guide? GET IT NOW! START IMPLEMENTING THE TOP 5 STRATEGIES WE TEACH ALL OUR CLIENTS! Have you seen our latest Note Book Posts? Improving your website conversion rate doesn't take months of work to see results. Here are five things you can do today to make a change. If you're thinking about advertising on a specific site, how do you interpret their media kit and determine if it will be a good fit? Here's what you must know. Schedule a FREE Business Growth Session. Learn how WebInsight's digital marketing solutions can help grow your business.